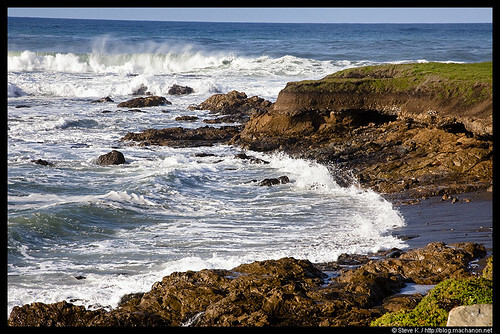 Shelter Cove California is a small remote fishing town situated at the edge of society where the coastal cliffs and the mighty Pacific Ocean meet coupled with an abundantly rich history. It is as remote from civilization as it can get – still with some civility left over. After a “slight” hiatus from my previous entry to the “End of 2009 Sojourn” series, I am continuing the series follow-up article: Part II of my Shelter Cove adventure. Shelter Cove is a small fishing community with a designation for vacation get-aways and retirement. It is a small quaint community sitting on a rocky bluff hugging the pacific ocean to the west and surrounded by mountain ranges and giant redwoods to the east. Because of its location, Shelter Cove is not an ideal place to use as a “base point” for area wide exploratory opportunities. That is, I do not recommend using Shelter Cove as your “base” to explore other attractions in the area, such as the Avenue of the Giants, the Chandelier Tree, Log House, Eel River, etc. It takes roughly 45 minutes to an hour to reach Shelter Cove, and the only road leading in and out of the town is a single lane, 2-way traffic and 24 mile long Briceland Road. The road itself is an adventure, whether it be the nerve wrecking curves and twists or being tailgated by a local (these folks in their raised truck know how to navigate Briceland Road and do so at amazing speed). Added to the anxiety are weather ailment, including rain and fog. If you return from a day’s worth of exploration, add the element of a pitch dark night to the list of challenges as well. Despite the challenges associated with getting to and out of Shelter Cove, the town itself offer an amazing stay. 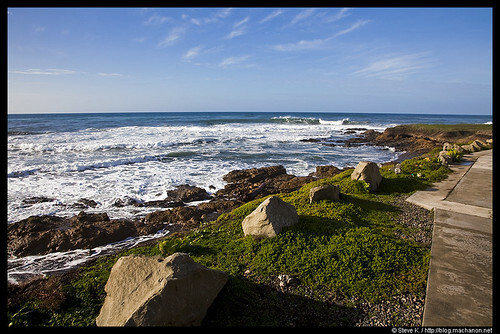 Aside from a great view of the Pacific ocean, a gust of fresh oceanic air, tranquility and peace disturbed only by the roaring ocean, Shelter Cove harbor explorable natural beauties of its own. Kept in pristine condition from civilization are its unique black sand beach due to volcanic activities and its breathtaking tide pools. Different types of marine life can be seen clinging onto rocks and sands, including but not limited to starfishes, sea anemones, bristle stars, sand dollars, sand crabs, hermit crabs, and more. 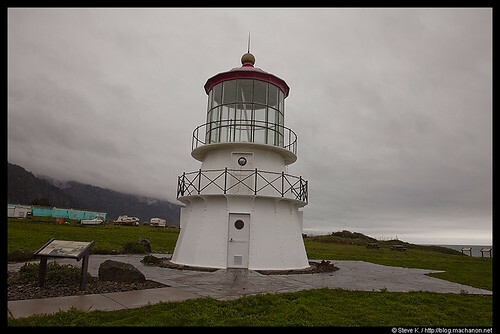 The Cape Mendocino Lighthouse adds to its historic heritage. 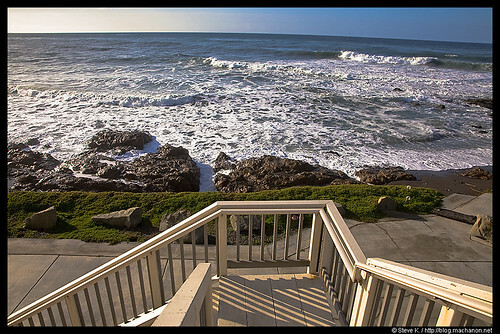 Originally stationed at Cape Mendocino, it was relocated to Shelter Cove with the help of the Army National Guard. You can read more about its history at Lighthousefriends.com. Next stop in my 6 day Northern California sojourn is the town of Ferndale, which is a California historic monument in itself.